The World of Ghibli in China opened their first ever mainland exhibit on Sunday (1 Jul) at the World Financial Center. This year for Studio Ghibli marks the 30th anniversary to one of their most successful films, My Neighbor Totoro. 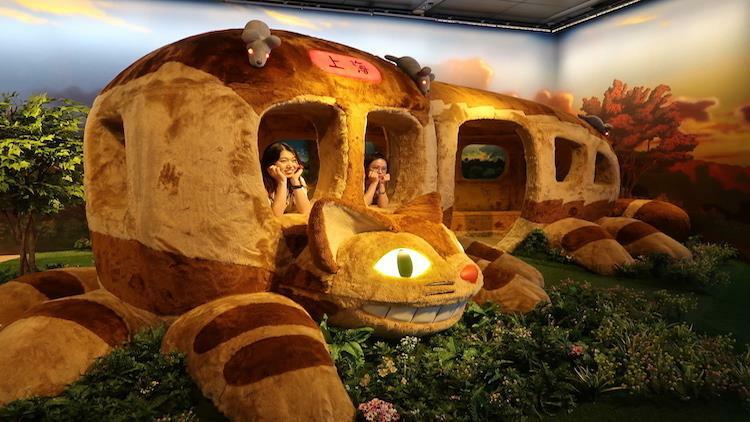 The exhibit features the Catbus from Totoro, presented as a plush, life-sized replica, a half-scale recreation of Satsuki and Mei’s house and a life sized Totoro. The exhibition also continues on the 94th floor to see the Castle in the Sky 8 metre air ship replica.